Drug addiction is a terrible disease which affects both physically and mentally. A drug-addicted person slowly diverts from the regular normal social life. When they want to return back to the mainstream society, drug rehabs perform their job to treat these people medically and psychologically. These rehab centers provide different types of medical and behavioral treatments to their patients. But these treatments are not so simple. The path to recovery and healthy life is followed by a number of specific steps. Some of the private drug rehab centers provide proper effective steps which lead to the complete recovery and healthy social life. What are the procedures drug rehabs follow? Intake: this is the fundamental diagnosis stage of the patient. Here you will understand whether the particular rehab center suites you and vice versa. The doctors may ask the patient for some medical tests and questionnaires to find out the actual state of the addiction and the history of addiction. They also may ask whether the patient has any type of family history of drug addiction. Detox: it is the starting process of the actual rehabilitation. Detoxification is the process to remove all traces of alcohol and drugs from the body. Some of the drugs affect the physical condition with additional symptoms. These special cases need to be treated with supportive maintenance medication. Depending on the patient’s physical composition and metabolism, detoxification process is applied. Rehab: this is the actual phase of drug rehabilitation. Here doctors prepare a specific individual program for each and every patient. Sometimes, patients are treated with behavioral therapy along with medication. Since this is a relapsing disease; doctors always try to boost up the patient psychologically. Group therapy is also an effective treatment for the patients. Here they interact with each other with their recovery story. They can understand that they are not alone in this world. Some private rehab centers offer their patients a family therapy. Their family members are invited to join in the session to boost up their loved one so that he/she can overcome it. Ongoing recovery: after completing the rehabilitation procedure, patients may not meet their complete recovery. For some of the patients, ongoing recovery can be a lifelong procedure. 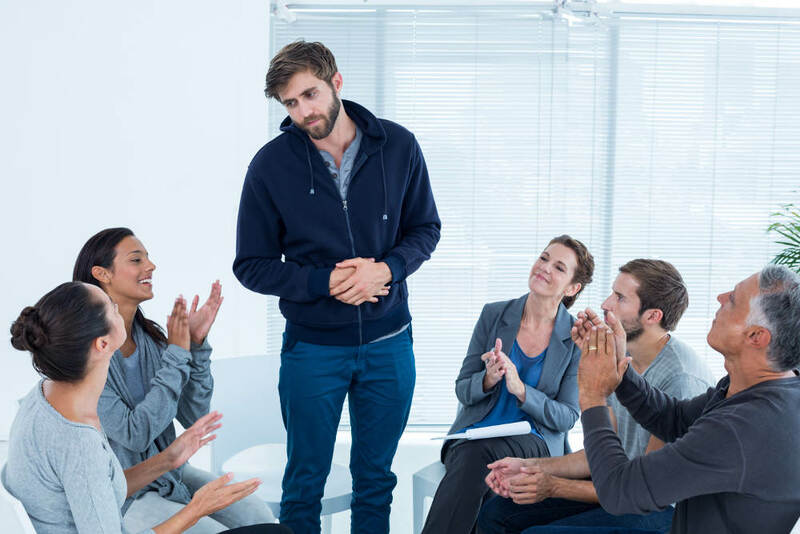 Basically, most of the private drug rehab centers offer their patients different recovery session depending on their addiction level and how they are responding to the rehab treatment.